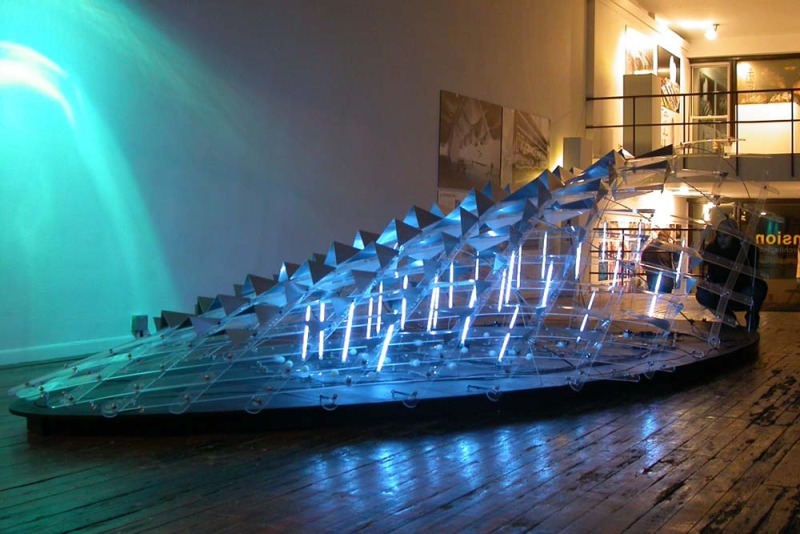 Vivisys is an experimental double-curved acrylic lattice vault that plays host to an extraordinary cluster of CNC prototyped metallic barnacles. 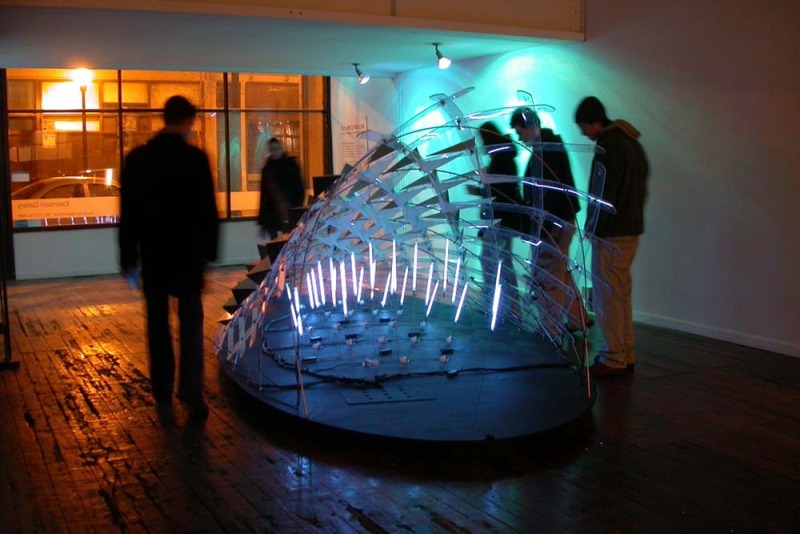 A robotic soundscape, comprised of networked auroras of electron emitting cold cathode tubes, responds to interactions from the environment. Increased interaction heightens the intensity of the soundscape. Vivisys synthesizes patterns of the organic and the manufactured into a design framework for energy, form and matter.